Kentucky Family Law: What If My Spouse Denies That The Marriage Is Irretrievably Broken? October 9, 2017 /in Kentucky Family Law /by Daryle C. Tibbs Esq. 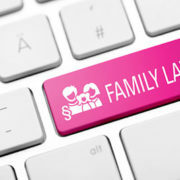 Daryle C. Tibbs, owner of Tibbs Law Office, continues a new series reviewing Kentucky family law. https://tibbslawoffice.com/wp-content/uploads/2011/07/Family-Law-Keyboard-110717-sm.jpg 267 400 Daryle C. Tibbs Esq. https://tibbslawoffice.com/wp-content/uploads/2016/02/logo-300x74.png Daryle C. Tibbs Esq.2017-10-09 20:14:342018-02-09 15:21:43Kentucky Family Law: What If My Spouse Denies That The Marriage Is Irretrievably Broken? Kentucky Family Law: What Does It Mean To Have An Irretrievable Breakdown? October 2, 2017 /in Kentucky Family Law /by Daryle C. Tibbs Esq. https://tibbslawoffice.com/wp-content/uploads/2011/07/Family-Law-Keyboard-110717-sm.jpg 267 400 Daryle C. Tibbs Esq. https://tibbslawoffice.com/wp-content/uploads/2016/02/logo-300x74.png Daryle C. Tibbs Esq.2017-10-02 18:39:092018-02-09 15:22:46Kentucky Family Law: What Does It Mean To Have An Irretrievable Breakdown?